I don't drink coffee, but I sure love coffee cake! 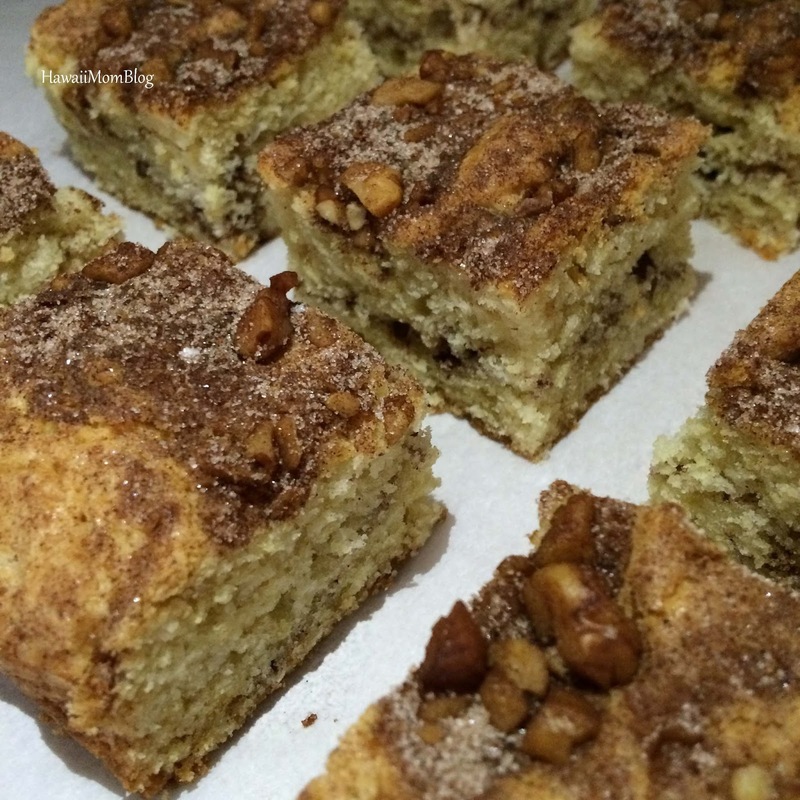 At a recent get-together, @hiteastyle's mom made coffee cake. It was so yummy I had to get the recipe, and she so generously shared it. The coffee cake was very easy to make - you most likely have all the ingredients already on-hand, and it turned out so delicious! I'm glad I finally have a recipe for coffee cake! Combine the nuts, sugar, and cinnamon in a small bowl to make the filling/topping and set aside. In a separate medium bowl, combine the butter and sugar until creamy. Add the flour, baking soda, baking powder and sour cream and mix well. Spread half the batter in a 9x13 parchment-lined pan. Sprinkle with half of the cinnamon mixture. Sprinkle remaining cinnamon mixture on top. I love coffee and coffee cake, in small doses for balance yes.